International Business Machines Corporation (IBM) aligns its organizational culture with business goals for leadership in the information technology industry. The organizational culture or corporate culture defines the philosophies, principles and values that influence the behaviors of employees. The cultural characteristics also influence human resource support for the firm’s efforts to respond to opportunities and threats in the external business environment. In the case of IBM, for example, the corporate culture affects employees, and extends to other parties, such as business partners. 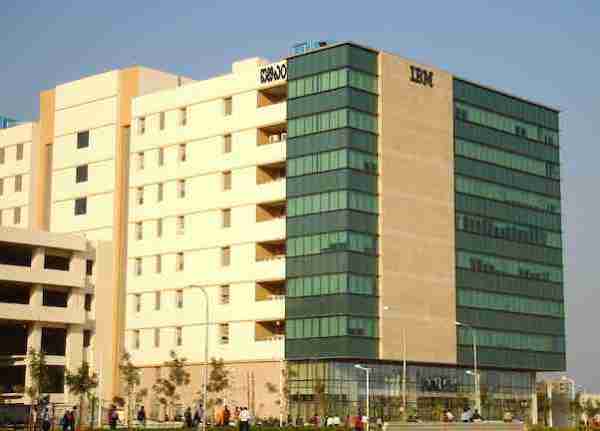 As a major technology firm in the global market, the company needs to maximize the benefits of its organizational culture, such as in terms of using the influence of cultural attributes to motivate workers, called IBMers, in contributing to further business growth despite challenges and issues, such as competitive rivalry, which is determinable in the Porter’s Five Forces Analysis of IBM. This condition sheds light about the role of the corporate culture as a key factor in the long-term success of the company. Cultural features are a significant consideration in IBM’s management, especially because of their influence on human resources and, thus, the performance of the entire business. For example, the organizational culture affects decision-making in all levels and areas of Big Blue (IBM’s nickname). This organization-wide effect prompts the company’s managers to develop and implement strategies and policies with consideration for the impact of corporate culture. For instance, the organizational culture is a determinant of the effectiveness of new strategies for changes in workers’ involvement in feedback systems used in enhancing IBM’s customer service quality. In a similar manner, the corporate culture affects the contributions of human resources toward the company’s endeavors for leadership in the information technology industry. Radical Thinking. Radical thinking is the primary and most defining characteristic of IBM’s organizational culture. This cultural trait continues as a major influence in the company’s development through its more than 100 years of operations in the information technology industry. IBM managers encourage employees to engage in thinking that has potential to disrupt the status quo and deviate from traditional ways in the business. In this way, the corporate culture promotes creative and innovative thinking that leads to technological breakthroughs. For example, based on contributions from radical-thinking employees, the company introduced the IBM System/360, which was the first easily upgradable computing system family for customers, especially businesses. Such technological breakthrough reflects IBM’s vision statement and mission statement. Dedication to Every Client’s Success. This feature of the organizational culture focuses on client’s needs, which guide employees’ decisions for business development. In relation, IBM aims to maintain high quality customer service to address the needs of the information technology business. This cultural feature indicates the importance of customer relations in determining business success. The concern on customer service quality is a sociocultural external factor relevant in the industry, as identified in the PESTEL/PESTLE analysis of IBM. For example, customers are more likely to develop a favorable perspective of and response to the company, based on product effectiveness and quality of service. Thus, this characteristic of IBM’s corporate culture supports business goals for customer loyalty and a growing and stable share of the market. Innovation that Matters – for Our Company and for the World. The emphasis of this feature of the corporate culture is on addressing market demand through product development, which is one of the company’s intensive strategies for growth and competitive advantage (Read: IBM’s Generic Strategy and Intensive Growth Strategies). To ensure that innovation matters, this cultural attribute points to excellence as a key success factor in the information technology business. For example, excellent computer systems provide long-term benefit to customers in terms of solving their business problems. Thus, the organizational culture contributes to the value of the company’s brand, which is one of the business strengths identifiable in the SWOT analysis of IBM. Trust and Personal Responsibility in All Relationships. This cultural characteristic promotes trust, personal responsibility and respect for the individual. These factors affect relationships that involve IBM employees, business partners, suppliers, and others. Through this element of the organizational culture, the company expects benefits to the business. For example, such trust and respect lead to positive relationships that support high employee morale and stronger alliances with business partners. In this regard, IBM’s corporate culture contributes to business resilience despite challenges linked to competition in the information technology industry. IBM’s organizational culture has the advantage of motivating employees to creatively approach problems and challenges. Such creativity, based on radical thinking, is a key success factor in the information technology business. Another advantage of IBM’s corporate culture is its emphasis on personal responsibility, which increases organizational competence in solving problems at all levels of the business. For example, based on this cultural characteristic, individual employees are encouraged to take responsibility in reasonably addressing solvable problems encountered in their jobs. Thus, IBM’s organizational culture contributes to business growth. Implement a cultural trait that increases the flexibility of business processes. Integrate self-checking and self-correction in the cultural trait of trust and personal responsibility in all relationships. International Business Machines Corporation – IBM – Our Values at Work. International Business Machines Corporation, Form 10-K.
U.S. Department of Commerce – International Trade Administration – Software and Information Technology Services Industry Spotlight.